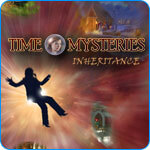 Time Mysteries: Inheritance Game - Download and Play Free Version! Why Would Someone Capture An Award-Winning Physicist? Find Out! Vivien, a Physicist, owes her love of the sciences to her father William. After being presented with a prestigious award, she has returned to her father's home to share her joy and accomplishments, but a strange man in the attic window is about to change her life forever. 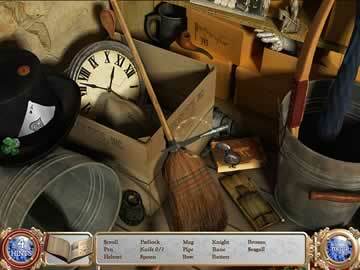 Vivien discovers that an evil time traveler has kidnapped her father in order to obtain a guarded family secret. To find her father, Vivien must follow the clues left to her in her father's diary. With the help of a strange crystal ball, and seven magical rings, Vivien will have to lean how to travel back through time to meet her ancestors. Only they can help her unravel the mystery of the stranger and help secure her father's return. 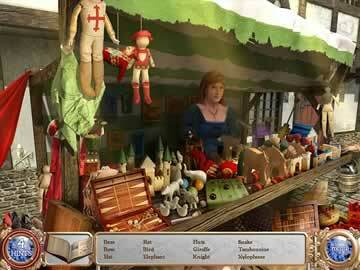 In this beautifully rendered Hidden Object game Time Mysteries: Inheritance, you can help Vivien find her father by searching for hidden objects, solving challenging unique puzzles, finding the differences in historical scenery, and racing fun filled fast paced mini-games.